Consequently, it is quite an accomplishment to have come as far as we have come, and yet, even with the huge compuational power at our disposal, there is insuficient data to unravel the complexity. This may be especially true in the pathway to understanding of neurological and behavioral disorders. Alzheimer’s disease and Parkinson’s, as well as finding therapies for a variety of mental illnesses. An open-ended question is whether it will also advance artificial intelligence research. It is termed the Brain Activity Map project. Two new studies, published in Schizophrenia Research and in Nature Genetics, propose hypotheses in a new mouse model of schizophrenia that demonstrates how gestational brain changes cause behavioural problems later in life. may be responsible for the onset of schizophrenia later in life. Individuals with sporadic schizophrenia tend to carry more deleterious genetic changes than found in the general population, according to an exome sequencing study that appeared online in Nature Genetics yesterday. “The occurrence of de novo mutations may in part explain the high worldwide incidence of schizophrenia,” according to co-senior author Guy Rouleau, CHU Sainte-Justine Research Center of University of Montreal. four nonsense mutations predicted to abbreviate protein sequences. with 26 unrelated control individuals. four were nonsense mutations predicted to truncate it. Among the genes containing nonsense mutations were the zinc finger protein-coding gene ZNF480, the karyopherin alpha 1 gene KPNA1, the low-density lipoprotein receptor-related gene LRP1, and the ALS-like protein-coding gene ALS2CL. hinting at a higher de novo mutation rate in individuals with sporadic schizophrenia than is predicted in the population overall. de novo mutation rates across the entire genome are likely comparable in those with or without schizophrenia. They conclude that the enrichment of [de novo mutations] within the coding sequence of individuals with schizophrenia may underlie the pathogenesis of many of these individual. Most of the genes identified in this study have not been previously linked to schizophrenia, thereby providing new potential therapeutic targets. as many as 160 different genes believed to be involved in the disorder. links pathways involving schizophrenia-linked genes. it brings down the conductor and the whole orchestra. the INFS system that controls development of the whole brain becomes untuned. which in turn, has a cascading effect on the entire INFS. The researchers would like to devise ways to arrest development of the disease before it presents fully in adolescence or adulthood. The UB work adds to existing evidence that nicotinic agonists, might help improve cognitive function in schizophrenics by acting on the INFS. transfected with human mutant (A30P) and wildtype (WT) -synuclein. The apoptosis ratio was assessed by flow cytometry. 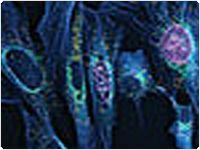 LC3, heat shock protein 70 (hsp70) and caspase-3 expression in cell culture were determined by Western blot. The hallmarks of apoptosis and autophagy were assessed with transmission electron microscopy. Compared to the control group or the rapamycin (autophagy stimulator) group, the apoptosis ratio in A30P and WT cells was significantly higher after treatment with inhibitors of the proteasome and macroautophagy. in the autophagy inhibitor and stimulator groups, hsp70 was similar to control. the macroautophagy stimulator rapamycin reduces the apoptosis ratio. And inhibiting or stimulating autophagy has less impact on hsp70 than the proteasome pathway. either stimulation or inhibition of macroautophagy, has less impact on hsp70 than on the proteasome pathway. rapamycin decreased apoptotic cells in A30P cells independent of caspase-3 activity. autophagy activation protects cells from caspase-independent cell death. 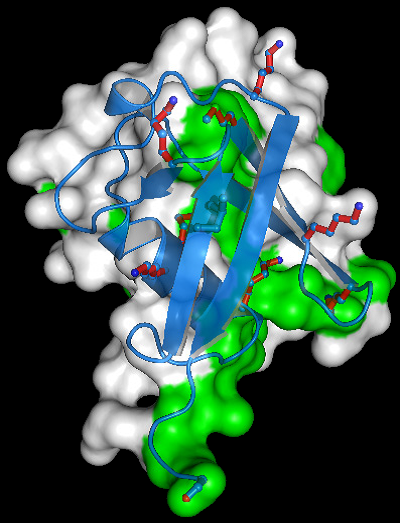 deinhibit the activation of caspase-2 or MOMP. Another possibility is that aggregated proteins induced by proteasome inhibition increase apoptosis. in neurodegeneration of catecholaminergic neurons and a familial form of Parkinson disease. a neuroprotective role, which may in fact be interrelated. using multiple Parkin-overexpressing cell culture systems. The direct ubiquitination of purified Bax was also observed in vitro following incubation with recombinant parkin. Parkin prevented basal and apoptotic stress induced translocation of Bax to the mitochondria. did not manifest the antiapoptotic effects of Parkin that were observed in cells expressing WT Bax. The conclusion is that Bax is the primary substrate responsible for the antiapoptotic effects of Parkin, and provides mechanistic insight into at least a subset of the mitochondrial effects of Parkin. promotes degradation of dysfunctional mitochondria by autophagy. widespread degradation of outer membrane proteins. rapid degradation of multiple outer membrane proteins. inhibition of the 26S proteasome completely abrogates Parkin-mediated mitophagy in HeLa, SH-SY5Y and mouse cells. Although the mitofusins Mfn1 and Mfn2 are rapid degradation targets of Parkin, degradation of additional targets is essential for mitophagy. a causal link between the UPS and autophagy, the major pathways for degradation of intracellular substrates. a consistent and transversal pathological phenomenon in neurodegenerative diseases, including Alzheimer´s, Huntington´s, and Parkinson´s disease. the accumulation of abnormal protein inclusions. in driving neurodegeneration in autophagy-deficient neurons. This study illuminatess the factors driving neurofibrillary tangle formation in Alzheimer´s disease and tauopathies. Two international studies published this week point to a link between Alzheimer’s disease and a rare gene mutation that affects the immune system’s inflammation response. The discovery supports an emerging theory about the role of the immune system in the development of Alzheimer’s disease. Both studies were published online this week in the New England Journal of Medicine, one led by John Hardy of University College London, and the other led by the Iceland-based global company deCode Genetics. disrupts their ability to communicate with each other. Both teams conclude that a rare mutation in a gene called TREM2, which helps trigger immune system responses, raises the risk for developing Alzheimer’s disease. One study suggests it raises it three-fold, the other, four-fold. The UCL-led study included researchers from 44 institutions around the world and data on a total of 25,000 people. rare mutations that occurred more often in 1,092 Alzheimer’s disease patients than in a group of 1,107 healthy controls. They evaluated the most common mutation, R47H, and confirmed that this variant of TREM2 substantially increases the risk for Alzheimer’s disease. R47H mutation was present in 1.9 percent of the Alzheimer’s patients and in only 0.37 percent of the controls. The researchers on the study led by deCode Genetics indicate that this strong effect is on a par with that of the well-established gene variant known as APOE4. Not all people who have the R47H variant will develop Alzheimer’s and in those who do, other genes and environmental factors will also play a role — but like APOE 4 it does substantially increase risk,” Carrasquillo explains. predicts poorer cognitive function in older people without Alzheimer’s. He surmises that the combined factors make TREM2 an attractive target for drug development. a control group of over-85s who did not have a diagnosis of Alzheimer’s. they replicated the findings against other control populations in the United States, Germany, the Netherlands and Norway. Researching into genetic causes of disease can, thereby, be carried out using an approach that combines sequence data and biological knowledge to find new drug targets. that are characteristic of Alzheimer’s disease. inflammation response associated with Alzheimer’s and cognitive decline. studies are needed to establish that R47H acts by altering immune function. not based on the genetic sequence. function to package DNA into nucleosomes. phosphoryl- groups at distinct amino acid residues. protrude from the core nucleosome structure. histones were isolated from frozen temporal lobe samples of patients with advanced AD. Histones were quantified using Selected-reaction-monitoring (SRM)-based targeted proteomics, an LC-MS/MS-based technique demonstrated by the Zhang lab.4 Histones were also analyzed using western blot analysis and LC-MS/MS-TMT (tandem-mass-tagging) quantitative proteomics. The results of these three experimental strategies agreed, further validating the specificity and sensitivity of the targeted proteomics methods. Histone acetylation was reduced throughout in the AD temporal lobe compared to matched controls. the histone H3 K18/K23 acetylation was significantly reduced. increase our understanding of how epigenetic mechanisms, such as histone acetylation, alter gene regulation. After years of effort, researcher Dr. Claude Wischik is awaiting the results of new clinical trials that will test his theory on the cause of Alzheimer’s. Dr. Wischik, an Australian in his early 30s in the 1980s, was attempting to answer a riddle: What causes Alzheimer’s disease? He needed to examine brain tissue from Alzheimer’s patients soon after death, which required getting family approvals and enlisting mortuary technicians to extract the brains. He collected more than 300 over about a dozen years. Alzheimer’s researcher Claude Wischik had a view that a brain protein called tau-not plaque is largely responsible. WSJ’s Shirley Wang spoke with Dr. Wischik about his work on a new drug to treat the devastating disease. forms twisted fibers known as tangles inside the brain cells of Alzheimer’s patients and is largely responsible for driving the disease. forms sticky plaques in the brains of sufferers. A string of experimental drugs designed to attack beta amyloid have failed recently in clinical trials. Dr. Wischik, who now lives in Scotland, sees this as tau’s big moment. The company he co-founded 10 years ago, TauRx Pharmaceuticals Ltd., has developed an experimental Alzheimer’s drug that it will begin testing in the coming weeks in two large clinical trials. Other companies are also investing in tau research. Roche Holding bought the rights to a type of experimental tau drug from Switzerland’s closely held AC Immune SA. Wischik is a scientist who has struggled against a prevailing orthodoxy. In 1854, British doctor John Snow traced a cholera outbreak in London to a contaminated water supply, but his discovery was rejected. A very infamous example is the discovery of the cause of child-bed fever in Rokitanski’s University of Vienna by Ignaz Semmelweis. In 1982, two Australian scientists declared that bacteria (H. pylori) caused peptic ulcers, later to be awarded the 2005 Nobel Prize in medicine for their discovery. Dr. Wischik says he and other tau-focused scientists have been shouted down over the years by what he calls the “amyloid orthodoxy.” But Dr. Wischik has been hampered by inconclusive research. A small clinical trial of TauRx’s drug in 2008 produced mixed, results. Of course, influential scientists still think that beta amyloid plays a central role. Although Roche is investing in tau, Richard Scheller, head of drug research at Roche’s biotech unit, Genentech, says the company still has a strong interest in beta amyloid (hedging the bet). He thinks amyloid drugs may have better results if testing on Alzheimer’s patients occurs much earlier in the disease to prove effective; Roche recently announced plans to conduct such a trial. Simply put -“Drugs tied to conventional theories on Alzheimer’s causes haven’t so far been effective.” Scientists Dr. Wischik accuses of wrongly fixating on beta amyloid argue that the evidence for pursuing amyloid is strong. One view expressed is that drugs to attack both beta amyloid and tau will be necessary. the degree of clinical dementia was worse for patients with more tangles in the brain. determining what tangles were made of, which launched his brain-collecting mission, and years of examining tissue. the tangles first observed by Alzheimer were made at least in part of the protein tau, which was supported by later research. stabilize the fibers that connect nerve cells. When it misfires, tau clumps together to form harmful tangles that kill brain cells. identifying the makeup of tangles made it possible to start developing ways to stop their formation. But by the early 1990s, tau was overtaken by another protein: beta amyloid. Several pieces of evidence convinced an influential group of scientists that beta amyloid was the primary cause of Alzheimer’s. the discovery of several genetic mutations that all but guaranteed a person would develop a hereditary type of the disease. which led scientists to believe that amyloid deposits were the main cause of the disease. Athena Neurosciences, a biotech company whose founders included Harvard’s Dr. Selkoe, focused in earnest on developing drugs to attack amyloid. Meanwhile, tau researchers say they found it hard to get research funding or to publish papers in medical journals. It became difficult to have a good publication on tau, because the amyloid cascade was like a dogma. It became the case that if you were not working in the amyloid field you were not working on Alzheimer’s disease. Dr. Wischik and his colleagues fought to keep funding from the UK’s Medical Research Council for the repository of brain tissue they maintained at Cambridge, he says. The brain bank became an important tool. In the early 1990s, Dr. Wischik and his colleagues compared the postmortem brains of Alzheimer’s sufferers against those of people who had died without dementia, to see how their levels of amyloid and tau differed. They found that both healthy brains and Alzheimer’s brains could be filled with amyloid plaque, but only Alzheimer’s brains contained aggregated tau. as the levels of aggregated tau in a brain increased, so did the severity of dementia. Nevertheless, American and British venture capitalists wanted to invest in amyloid projects, not tau. the vaccine had indeed cleared amyloid plaque but hadn’t prevented further neurodegeneration. Peter Davies, an Alzheimer’s researcher at the Feinstein Institute for Medical Research in Manhasset, NY, recalls hearing a researcher at a conference in the early 2000s concede that his amyloid research results “don’t fit the hypothesis, but we’ll continue until they do! “I just sat there with my mouth open,” he recalls. failed to improve cognition any better than a placebo pill, causing Elan shares to plummet by more than 60% over the next few days. translating into an 87% reduction in the rate of decline for people taking the TauRx drug. Dr. Wischik blames this on the way the 100-mg dose was formulated, and says the company is testing a tweaked version of the drug in its new clinical trials, which will begin enrolling patients late this year. scrapped development of the drug after it failed to work in two large clinical trials. involving 2,050 patients with mild or moderate Alzheimer’s. the drug slowed cognitive decline only in patients with mild forms of the disease. who are genetically predisposed to develop early-onset Alzheimer’s but who don’t yet have symptoms. This trial should help provide a “definitive” answer about the theory. Scientists and investors are giving more attention to tau. Roche this year said it would pay Switzerland’s AC Immune an undisclosed upfront fee for the rights to a new type of tau-targeted drug, and up to CHF400 million in additional payments if any drugs make it to market. In the end…it’s down to the phase 3 trial. are sequestered into double-membrane vesicles called autophagosomes and delivered to the lysosome/vacuole for breakdown and recycling of their basic components. to regulate intracellular homeostasis by adjusting organelle number and clearing damaged structures. autophagy is able to selectively engulf specific structures, ranging from proteins to entire organelles. reticulophagy, the selective elimination of portions of the ER. that macroautophagy requires the Alzheimer’s disease (AD)-related protein presenilin-1 (PS1). as a result of a selective impairment of autolysosome acidification and cathepsin activation. requires the selective binding of PS1 holoprotein to the unglycosylated subunit and the sec61alpha/ oligosaccharyltransferase complex. PS1 mutations causing early-onset AD produce a similar lysosomal/autophagy phenotype in fibroblasts from AD patients. PS1 is therefore essential for v-ATPase targeting to lysosomes, lysosome acidification, and proteolysis during autophagy. Defective lysosomal proteolysis represents a basis for pathogenic protein accumulations and neuronal cell death in AD and suggests previously unidentified therapeutic targets. Transposons have been barging into genomes and crossing species boundaries throughout evolution. Rapidly evolving bacterial species often use them to transmit antibiotic resistance to one another. Nearly half of the DNA in the human genome consists of transposons, and the percentage can potentially creep upward with every generation. That’s because nearly 20 percent of transposons are capable of replicating in a way that is unconstrained by the normal rules of DNA replication during cell division ― although through generations over time, most have become inactivated and no longer pose a threat. While humans are riddled with transposons, compared to some organisms, they’ve gotten off easy, according to Madhani, a professor of biochemistry and biophysics at UCSF. The water lily’s genome is 99 percent derived from transposons. The lowly salamander has about the same number of genes as humans, but in some species the genome is nearly 40 times bigger, due to all the inserted, replicating transposons. The scientists’ discovery of SCANR and how it targets transposons in the yeast Cryptococcus neoformans builds upon the Nobel-Prize-winning discovery of jumping genes by maize geneticist Barbara McClintock, and the Nobel-prize-winning discovery by molecular biologists Richard Roberts and Phillip Sharp that parts of a single gene may be separated along chromosomes by intervening bits of DNA, called introns. Introns are transcribed into RNA from DNA but then are spliced out of the instructions for building proteins. in distinguishing and defending ‘self’ genes from ‘non-self’ genes,” Madhani said. Researchers at UCSF ( Phillip Dumesic, an MD/PhD student and first author of the study, graduate students Prashanthi Natarajan and Benjamin Schiller, and postdoctoral fellow Changbin Chen, PhD.) and collaborators at the Whitehead Institute of Medical Research in Cambridge, Mass., and from the Scripps Research Institute in La Jolla, Calif., contributed to the research. If unrestrained, transposons replicate and insert themselves randomly throughout the genome. San Francisco, CA (Scicasts) – Gene wars rage inside our cells, with invading DNA regularly threatening to subvert our human blueprint. Now, building on Nobel-Prize-winning findings, UC San Francisco researchers have discovered a molecular machine that helps protect a cell’s genes against these DNA interlopers. small stretches of DNA called transposons, a name that conjures images of alien scourges. each was imported into its host’s genome from another species. insert themselves at random places within the DNA of the host cell. When transposons insert themselves in the middle of an important gene, they may cause malfunction, disease or birth defects. SCANR a novel way through which the genetic machinery within a cell’s nucleus recognizes and targets transposons. “We’ve known that only a fraction of human-inherited diseases are caused by these mobile genetic elements,” Madhani said. “Now we’ve found that cells use a step in gene expression to distinguish ‘self’ from ‘non-self’ and to halt the spread of transposons.” The study was published online Feb. 13 in the journal Cell (http://www.cell.com/abstract/S0092-8674%2813%2900138-4). compared to the “minors”, their smaller, brainier sisters. These two castes have the same genes, but strikingly distinct behaviours and shape. To understand how caste differences arise, the team examined the role of modifications of histones throughout the genome. They produced the first genome-wide epigenetic maps of genome structure in a social insect. Histones can be altered by the addition of small chemical groups, which affect the expression of genes. Therefore, specific histone modifications can create dramatic differences between genetically similar individuals, such as the physical and behavioural differences between ant castes. “These chemical modifications of histones alter how compact the genome is in a certain region,” Simola explains. “Certain modifications allow DNA to open up more, and some of them to close DNA more. 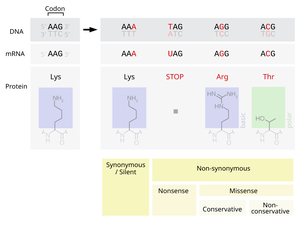 This, in turn, affects how genes get expressed, or turned on, to make proteins. correlates well with the expression levels of different genes between the castes. The research team is looking ahead to expand the work by manipulating the expression of the CBP regulator in ants to observe effects on caste development and behaviour. Berger observes that all of the genes known to be major epigenetic regulators in mammals are conserved in ants, which makes them a good model for studying behaviour and longevity. Cambridge, UK (Scicasts) – New research reveals a potential way for how parents’ experiences could be passed to their offspring’s genes. Epigenetics is a system that turns our genes on and off. The process works by chemical tags, known as epigenetic marks, attaching to DNA and telling a cell to either use or ignore a particular gene. The most common epigenetic mark is a methyl group. they block the attachment of proteins which normally turn the genes on. As a result, the gene is turned off. possibly because of inheritance of altered epigenetic marks caused by a restricted diet. the epigenetic marks are erased in cells called primordial gene cells (PGC), the precursors to sperm and eggs. This ‘reprogramming’ allows all genes to be read afresh for each new person – leaving scientists to question how epigenetic inheritance could occur. progressively diluted out as the cells divide. This process turns out to be remarkably efficient and seems to reset the genes for each new generation. The researchers, also found that some rare methylation can ‘escape’ the reprogramming process and can thus be passed on to offspring – revealing how epigenetic inheritance could occur. This is important because aberrant methylation could accumulate at genes during a lifetime in response to environmental factors, such as chemical exposure or nutrition, and can cause abnormal use of genes, leading to disease. If these marks are then inherited by offspring, their genes could also be affected. The research demonstrates how genes could retain some memory of their past experiences, indicating that the idea that epigenetic information is erased between generations – should be reassessed. The precursors to sperm and eggs are very effective in erasing most methylation marks, but they are fallible and at a low frequency may allow some epigenetic information to be transmitted to subsequent generations. Professor Azim Surani from the University of Cambridge, principal investigator of the research, said: “The new study has the potential to be exploited in two distinct ways. how to erase aberrant epigenetic marks that may underlie some diseases in adults. The research was published 25 January, in the journal Science. Story adapted from the University of Cambridge. A new study led by scientists at The Scripps Research Institute suggests that the replication process for DNA—the genetic instructions for living organisms that is composed of four bases (C, G, A and T)—is more open to unnatural letters than had previously been thought. An expanded “DNA alphabet” could carry more information than natural DNA, potentially coding for a much wider range of molecules and enabling a variety of powerful applications, from precise molecular probes and nanomachines to useful new life forms. The other contributors to the paper, “KlenTaq polymerase replicates unnatural base pairs by inducing a Watson-Crick geometry,” are Thomas Lavergne of the Romesberg lab, Wolfram Welte and Kay Diederichs of the Marx lab, and Phillip Ordoukhanian of the Center for Protein and Nucleic Acid Research at The Scripps Research Institute. Thank you for this overview article. This Table will enable you to WRITE the core Introduction and Summary on Genomics and Personalised Medicine. When 1 and 2 are a sole justification for a NEW book. Let’s work on this Table, Standardize it as a Templet for each of the e-Books. The Cancer e-Book Would benefit from such a Table, so will the aspects on Personalized Medicine via the Genomics Research route. THANK YOU for an outstanding road map for all above mentioned Human Diseases, their genomics unveiled CAUSES related to alteration in gene expression and/or protein degradation. Yes. I’ll do what you were looking for first,and proceed to this, which is very much in line with what I was thinking, but not in that manner. We are both on the same page. I have difficulty with your grouping autism with schizophrenia. The concept of autism as being childhood schizophrenia went out in the late 70s. Genetic studies conducted by Claude Gaudinos show that the autisms (they are a very heterogeneous group of disorders) cluster close to X-linked mental retardation and schizophrenia clusters with Alzheimer’s Disease. My response went into lost mail. Autism is now A spectrum. The function can be very high with good or above average intelligence. The genetic studies would have to be very highly POWERED because of the possibility of several allelic sequences having different effect sizes, and then you have to consider dominant vs recessive alles, and the combinations. This work is hardly finished. Thanks. I saw the article this morning. I didn’t make the connection to P Main at first, but I answered her last week. I also had read the one on the case pending the Supreme Court hearing, and I had an article that substantiated it. I lost the file I saved from this morning. So I have to get them back, and I have goof genomics on bacteria and virus genomics. My intent was to get this to you today. Maybe. I was frustrated by the lack of work on the kidney. I found good sources. I just cant rely on Medscape, Nature, and Science News to keep up.